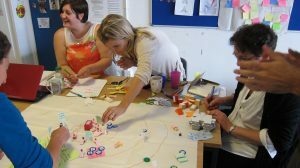 Through creative research and design thinking, we helped Tidworth Mums, a voluntary group providing arts and play activities to local families, to uncover and mobilise their assets, and build the case for soft play in their area. In the Unearth Hidden Assets project, The Glass-House explored how creative and collaborative approaches could uncover hidden assets in communities and unlock their potential. This sub-project was a collaboration between Wiltshire-based, not-for-profit group Tidworth Mums, Wiltshire Council, Army Welfare Service, the Open University and The Glass-House. 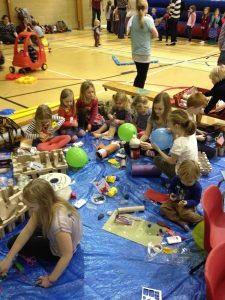 Tidworth Mums are an active provider and supporter of creative and playful activities for local families in the garrison town of Tidworth. 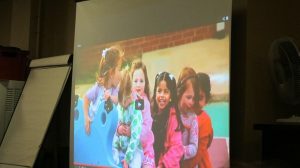 The group had a vision to create a soft play facility locally and wanted to explore how this might be achieved. 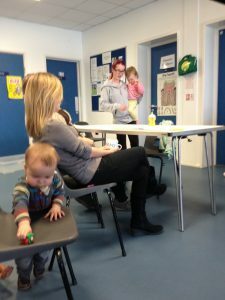 Working with our project partners, we co-designed a series of activities with the Mums. 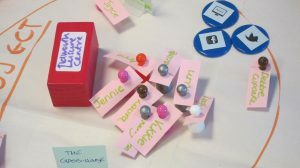 An asset mapping exercise (developed through a previous research project, Creative Citizens) helped to map out assets available or within reach of the group, and showed that their strongest and most active assets were their relationships with local people and networks. With support from play ambassadors, Nicola Butler (Hackney Play Association) and Robin Sutcliffe (Sutcliffe Play), The Glass-House organised a study tour of play facilities in London for the group, where they learned about different types of play activities and what is involved in managing play centres. To better understand local views on play and test a model of ‘pop-up’ play activities, we co-designed a Mega Soft Play Day during half term in February 2014. As well as a providing a host of soft play activities, the event also involved creative activities to gather opinions and ideas about future play provision in Tidworth, including a ‘jelly bean vote’ and an arts and crafts section for children to create their dream playspaces. Finally, we worked together to explore different business models for the provision of soft play in Tidworth. The group concluded that whatever way soft play is provided locally, they were committed to ensuring this happens in an informed way. 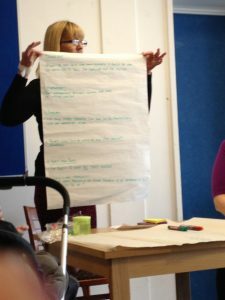 This collaboration helped Tidworth Mums to develop new, creative ways to engage local families and other stakeholders, and build evidence and support for their goal. 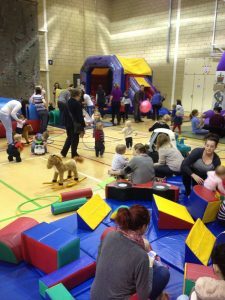 The Mega Soft Play Day created a model that can be used regularly and sustainably and the Mums continue to run activities and remain a valuable asset locally. 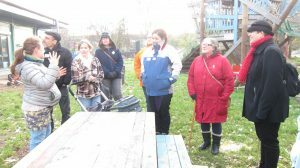 Our explorations helped the group to realise the value of their own skills and influence and how they could harness that to inform the future of their environment. The ongoing collaboration between the Mums, Wiltshire District Council and the Army Welfare Service, has demonstrated the value of relationships, networks and shared objectives. The experience of the group has inspired many others and the learning from our project shared across a range of networks and in publications and films (for more on that click on the EXPLORE tab). To support the Mums in their continued efforts, and inspire other groups to mobilise their assets and drive their own future, we created a free resource that shares some of the ideas and activities we used in this project. The group’s innovative use of social media to engage and support their community features in this publication by the Royal College of Art, in a case study written by The Glass-House and Tidworth Mums. In 2015, we revisited the project and its impact for a film case study to form part of a free online course on FutureLearn: Global Systems Science and Policy: An Introduction. The case study helps to complement the exploration of one the four elements of Global Systems Science, citizen engagement: why individual citizens must be involved in decision-making and policy formation.